JOHANNESBURG: Batsman Rassie van der Dussen is a new cap in South Africa’s 14-man squad named Thursday for the first two one-day internationals against Pakistan, starting on January 19. Van der Dussen, 29, has featured for the South African Twenty20 international team and was the leading scorer in the recent Mzansi Super League T20 tournament. 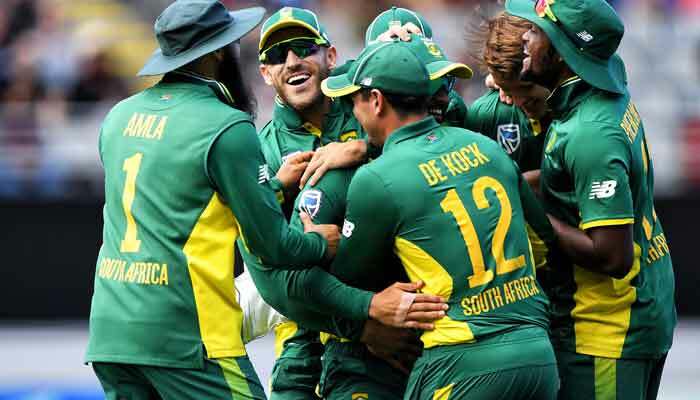 Five one-day internationals against Pakistan and five more against Sri Lanka are South Africa’s final one-day engagements before the Cricket World Cup in England and Wales that starts on May 30. Coach Ottis Gibson indicated earlier in the season that he would like the Pakistan and Sri Lanka matches to be effectively a warm-up for the World Cup squad but selection convener Linda Zondi said on Thursday there was still a degree of experimentation. "We need to look at all the options available to us as we get closer to selecting our final squad for the World Cup," said Zondi. He said Van der Dussen and fast bowler Dane Paterson, recalled to the one-day squad for the first time since 2017, were two players who have been "knocking strongly on the door in all formats". Zondi said other players could get opportunities in the last three matches against Pakistan. Batsman JP Duminy and fast bowler Lungi Ngidi were not considered because of injury. South African squad: Faf du Plessis (captain), Hashim Amla, Quinton de Kock (wkt), Reeza Hendricks, Imran Tahir, Heinrich Klaasen (wkt), David Miller, Dane Paterson, Andile Phehlukwayo, Dwaine Pretorius, Kagiso Rabada, Tabraiz Shamsi, Dale Steyn, Rassie van der Dussen.